What has happened during those short four months? Our only real 2012 family photo. We left our tiny two bedroom unit close to the city and moved to a large three bedroom house half an hour from the city. Best move ever. Our house is awesome as long as you ignore the leaking roof and the little plumbing issue. 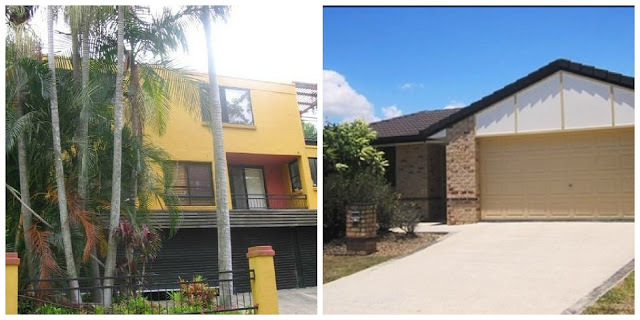 Our old unit block and our new house. 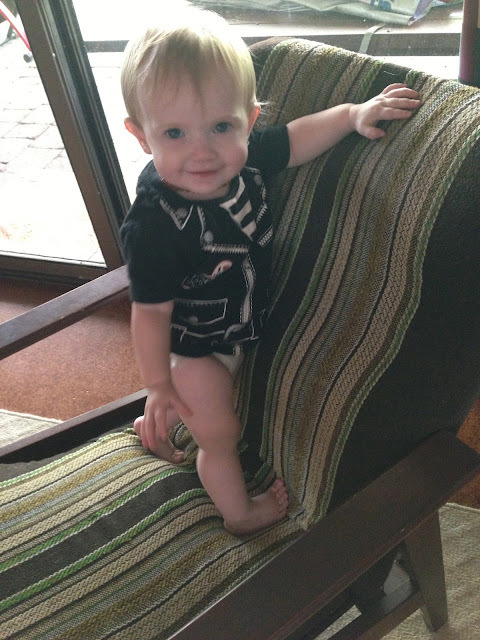 Little miss started walking around ten months old. Running and climbing at eleven months. Her teeth have been giving her hell and she'll chew on anything, eat everything. 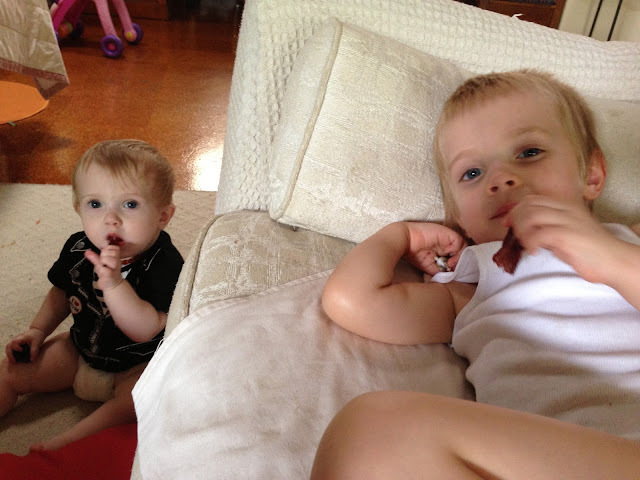 The kids love biltong, perfect teething snack. She can say 'dada', 'mama', 'hi', 'icky', 'ta' and a lot of garble. She is a lot of hard work and if she were our first child, she'd be an only child. A very loved only child. The baby boy is almost gone. 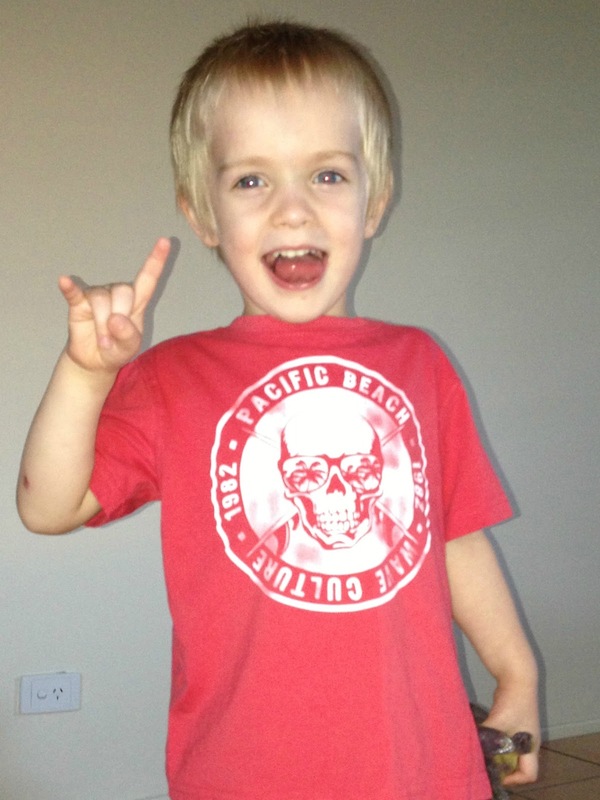 He's going to daycare three days a week with soccer on one day. He loves soccer and is good at it too. His speech is better but still needs some work. He has a handful of extremely clear words which is so exciting. 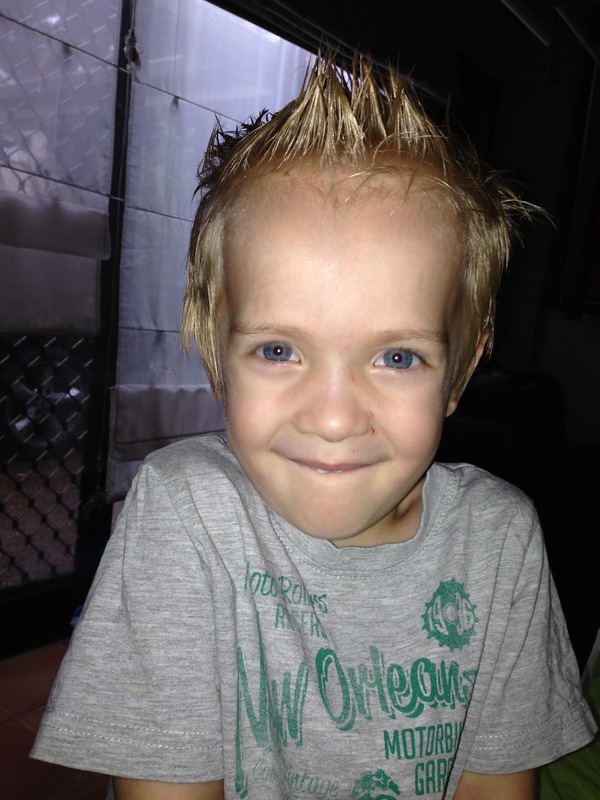 Speech therapy is starting back up soon so hopefully his speech improves in time for prep next year. 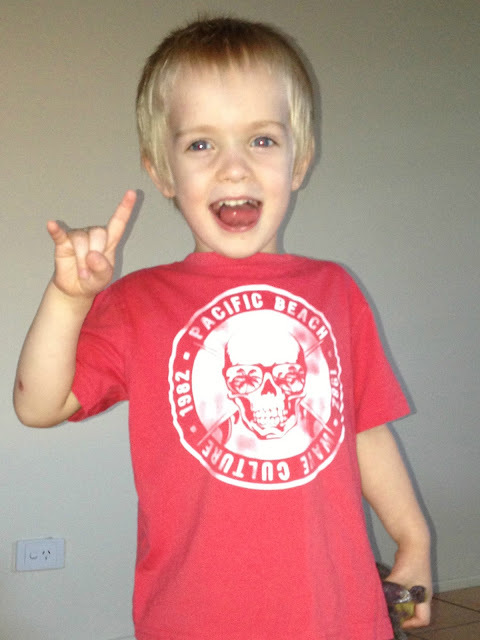 He is still obsessed with dinosaurs and cars. His room is a shrine to both. Sometimes the lounge room too. Some of his dinosaur toys. I got some lovely new skates (thanks dad). They are beautiful Riedell 495 boots, Roll Line Mistral plate with my 88 Atom Jukes. So pretty and skating is so much easier. 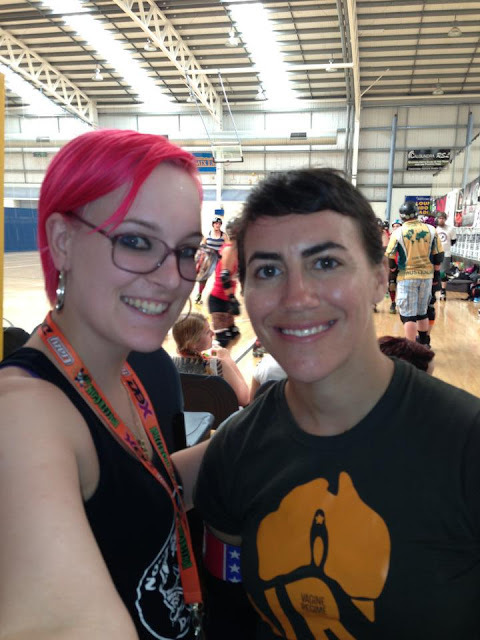 I gots me a derby wife at Rollecon AU. She's amazing and so talented. 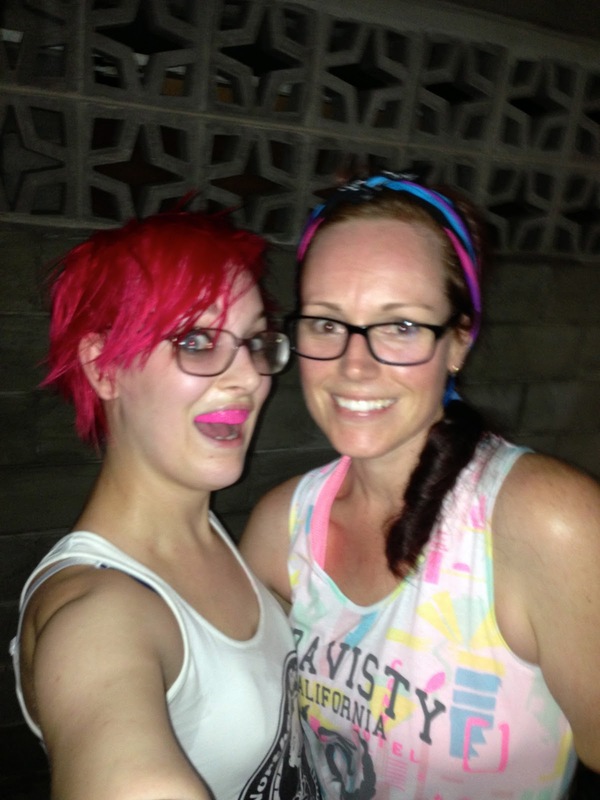 Ginger Paws and Miss Maims sweaty after a Quadzilla jam skating session. Rollercon was awesome. Learning from such talented skaters was such an honour. Smarty Pants is amazing and I love her coaching style, she includes everyone and explains every drill so well. Being a total fan girl with Smarty. The mister is amazing at skating. He's fearless and I'm highly jealous. Sesame is turning one. Sorta. As she is a leap year baby we have decided to celebrate her birthday on the 1st March. The mister and I will celebrate our five year anniversary with a week away in Melbourne for Formula One. So excited! Lufflump is turning four. Too soon. YAYYYY welcome back!! Maybe this will give me the kick to get back into it myself! I've been keeping up with you via Facebook but welcome back to blogland! Thank you! Thank goodness for Facebook and the technology we have today. Hi Ames! I've wondered what you've been up to but assumed roller derby had become your new passion. I love your new home. We desperately need one too. 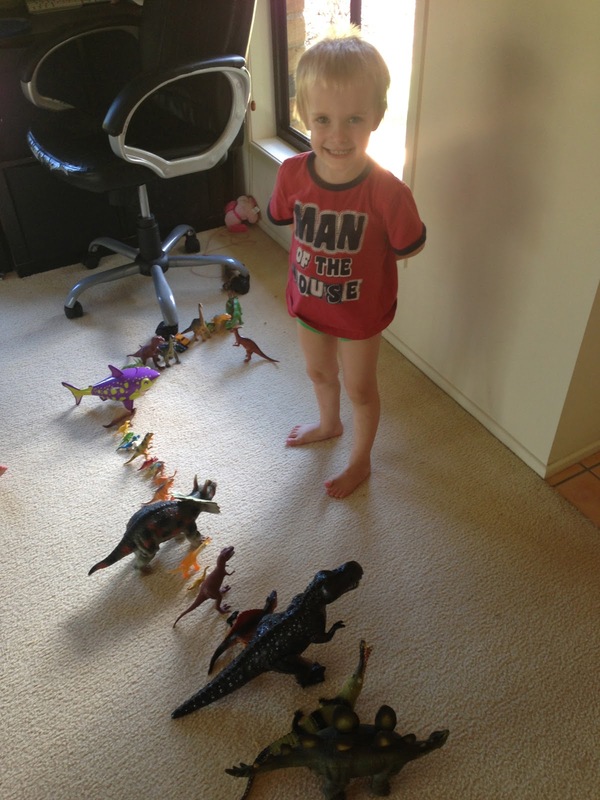 A flat with two littlies is just too cramped, especially with all those dinosaurs invading! ( :-) Love that pic by the way. Thanks for the mini-update. Take care. Roller derby has definitely become a passion! It takes a lot to get fit for it. Are you looking at moving? Flats and apartments are perfect if they are huge or without kids. Everything becomes harder with kids! Thanks Denyse! The kids are growing up way too fast too quickly for sure. I'm loving the space and how easy it is to actually clean it. Am glad you're happy with the move. Which suburb are you in now? (Understand if you don't want to say). The roller skates look good. I have no idea what any of your description means. But you seem to just love roller derby so much - it seems to emanate from you when you speak of it. I love that passion.